Accidentally came across this mod while doing another mod. Considering how easy it was, I'm surprise no one online bothered to make a quick guide explaining how. That changes now. Again, this is so easy and short. I'm not going bother making this long to explain and using tons of pictures. 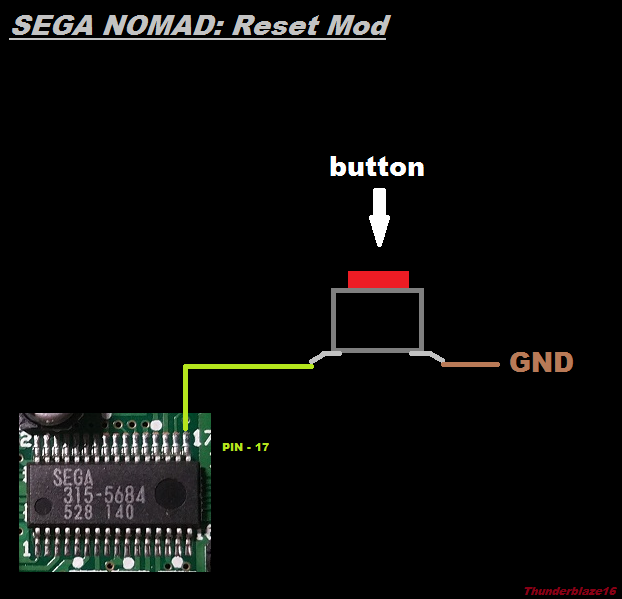 Ok so first open up your Nomad with the required tools and on the front side of the Nomad, locate the chip above the audio jack labeled, SEGA 315-5684. Once you locate the chip, locate pin 17 on it. It's the top right pin. 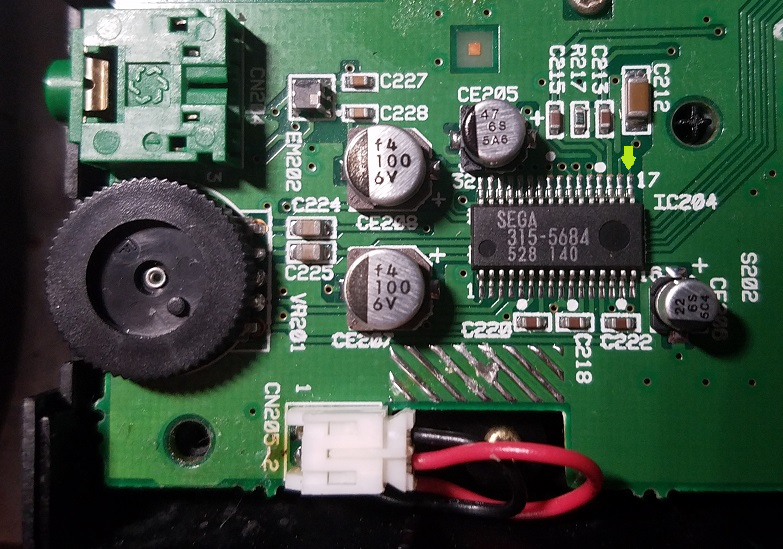 With the button you plan on using, solder one side of your button to pin 17 and the other side to any gnd. My yellow cable is soldered to pin 17 and the white cable to a nearby gnd from a capacitor. Boom you're done, I'm not keeping this mod for my own Nomad. Just giving you all a quick tutorial on how to do it. 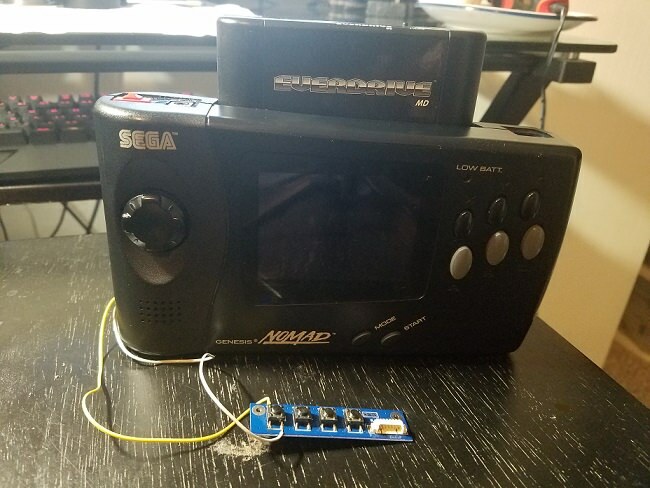 For more of my Sega Nomad tutorials, visit the following link below. Last edited by Thunderblaze16; 12-22-2017 at 09:12 AM. You must really like X-Men.